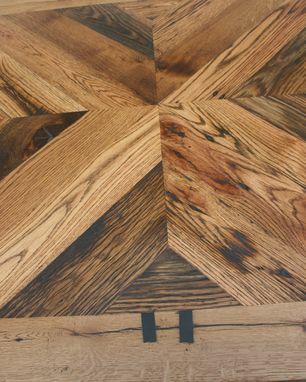 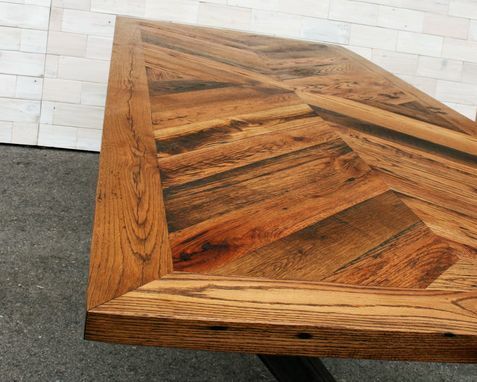 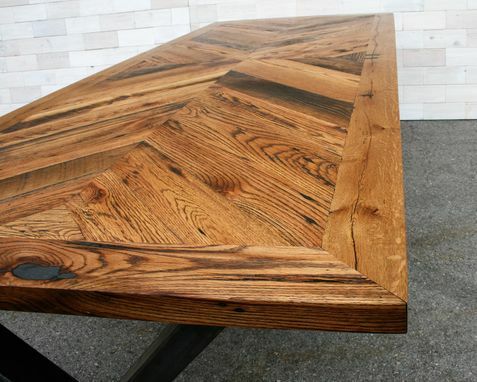 ◊ This Dining Table is made from Antique Oak salvaged from disused tobacco drying barns in Kentucky. ◊ The original project top is 96" long x 42" wide x 1.625" thick. 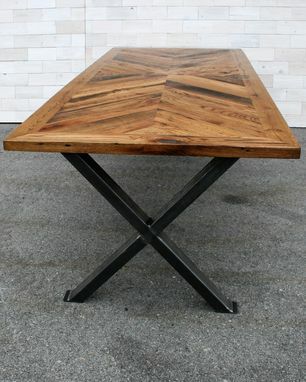 The surface still has saw marks and weathering left over from the wood's first use, which means the top of the table isn't entirely flat and variations up to 1/8" are common. 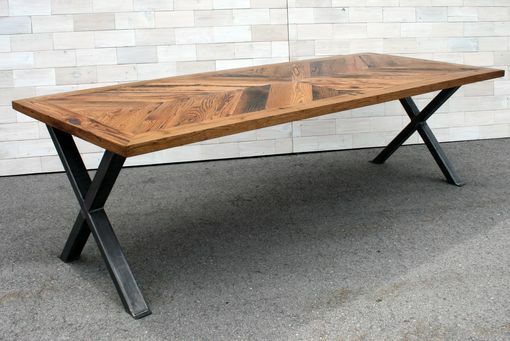 Custom sizes up to 10' long are welcome; just send us a message with the size you want. 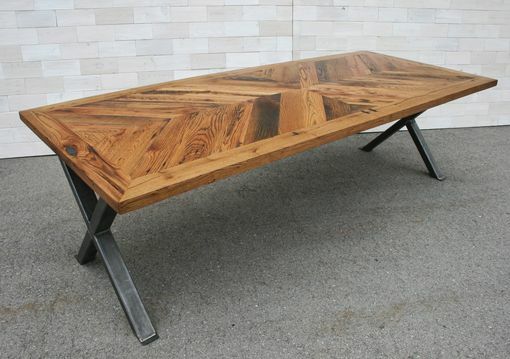 ◊ The legs are raw steel 2" x 3" tubing securely welded into an "X"